Sue Ryder, which provides hospice care, has found 44% of bereaved adults would liked to have known what physical and mental changes to expect their loved one to experience in their final days. 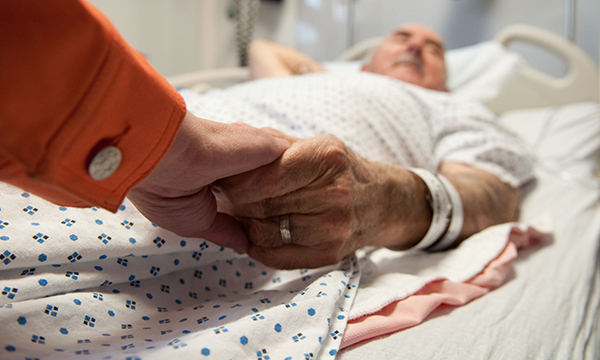 It comes as a survey by Nursing Standard and terminal illness charity Marie Curie last week found two thirds of nurses and healthcare assistants report not having sufficient time to provide good care for dying patients. Sue Ryder surveyed 1,000 bereaved adults in the UK for its research. The charity said advice on what to expect is among the most sought-after information on its website and use of the Sue Ryder online community for bereavement more than doubled between 2016 and 2017. Chief executive Heidi Travis said: ‘Death is an inevitable part of all our lives, and yet in modern society we have become far more distanced from the reality of it. ‘It is unsurprising then that our survey reveals a significant number of people struggling with uncertainty about what to do when someone close to them is dying. She added that National Institute for Health and Care Excellence guidance exists to ensure those nearing the end of their life are communicated with and offered information by healthcare professionals, but said there can be inconsistencies.